The city of Los Angeles is one of the most dynamic metropolitan environments in the world and is an unparalleled place to study the intersection of the natural and cultural spheres. One of the objectives included in Occidental's Strategic Plan is to "expand the depth and breadth of opportunities for students to engage in experiential and academic activities that are directly connected with the environment, cultural, economic, political, scientific and social institutions, issues and programs in Los Angeles." The L.A. Encounters program supports this objective by providing funding for faculty members who wish to enhance their courses by taking advantage of resources, both cultural and natural, within the greater Los Angeles area. Past trips have included visits to museums, libraries, film screenings, plays, operas, concerts, walking tours, lectures, botanical gardens and zoos, cultural festivals, local schools, government agencies and NGOs, community events, and more. In all cases, these trips are intended to complement the classroom experience and to allow students to more fully engage with the city. Proposals can be submitted using the online form linked below. There is no deadline for funding requests; proposals will be reviewed as they come in. While we try to respond to all requests within one week, during busy periods it may take longer. Proposals are now being accepted for Spring 2019! Please allow up to one week to recieve a response to your proposal. If you have questions about the status of a request, please contact laencounters@oxy.edu. Will all requests be funded? Funding is limited, so we may not be able to approve all requests. In some cases, we will be able to offer partial funding with the hope that the remaining costs might be covered from other sources (departmental budgets, etc.). While we try to support as many trips as possible, priority will be given to proposals that clearly articulate a connection between the proposed field trip and a course's learning objectives. Who can apply for LA Encounters funding? The primary objective of the LA Encounters program is to support field trips that are directly linked to an academic course (or, in some cases, multiple courses). Requests for funding for course-related trips should be submitted by a faculty member. In rare cases we may be able to support proposals from other members of the college community, though typically only in cases where the proposed trip has a strong connection with the college curriculum or can be demonstrated as providing a significant benefit to the cultural and intellectual life of the campus. Will the LA Encounters program assist me with organizing my trip? Due to our limited resources, we are not able to provide logistical support. While we may be able to provide some advice regarding the planning of a trip, the person requesting funding is ultimately responsible for organizing and overseeing the excursion. In some cases the Center for Community Based Learning may be able to provide additional guidance and support. The most common requests are for funding for transportation and admission costs. For longer field trips, we may able to provide funding for a snack or meal. If there are other costs associated with your planned trip, please be sure to include them in your proposal. Can LA Encounters funds be used to support on-campus programming? No. 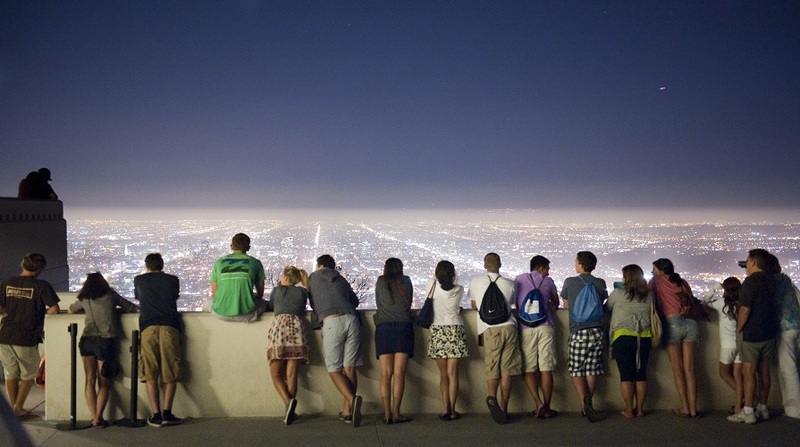 The LA Encounters program exclusively supports off-campus activities. Renting college-owned vans is convenient and economical, though the trip organizer must identify an authorized driver for each van before a van reservation can be made. To find out more, see the Authorized Driver Procedures web page. Ridesharing services such as Uber or Lyft are becoming an increasingly popular option. For trips using this option, the person(s) requesting the rideshare would submit their receipt (usually an printed email) for reimbursement. Please note that we can only reimburse costs for a base-level service; premium services like UberLux, UberBLACK, Lyft Lux, etc. will not be covered. Chartered busses are available in a variety sizes ranging from a 24-passenger mini-bus to a 58-passenger coach. The cost of chartering a bus is considerable, but it can be the best option for larger groups, longer distances, or in cases where authorized van drivers are not available. For some trips, public transit may be a good option. The two closest bus routes to campus are the Metro 83 bus, which runs down York Boulevard, and the the Metro 28 bus, which runs down Eagle Rock Boulevard. Both busses travel to Downtown LA in approximately 40 minutes. In addition, the LADOT Highland Park/Eagle Rock DASH bus stops at the intersection of Campus Road and Avenue 51. All three of these busses have connections with the Metro Gold Line light rail, providing convenient access to areas such as Pasadena, Chinatown, Union Station, El Pueblo de Los Angeles, Little Tokyo, and East LA. Depending on the mode of transit required, either bus tokens or TAP cards preloaded with one-day travel passes can be arranged. The Metro Trip Planner is a useful tool for planning journeys via public transit. How do I book a bus or reserve vans? Once your proposal has been approved, we can provide more information to assist you in making necessary transportation reservations. What if my question hasn't been answered on this page? Contact us at laencounters@oxy.edu and we will be happy to help!